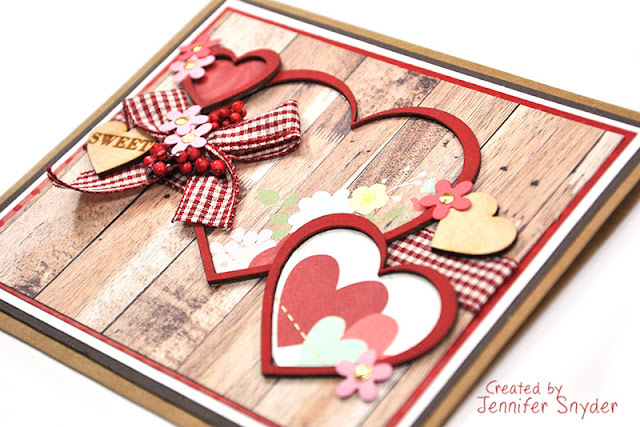 Today I'm here to show you how scrumptiously beautiful Creative Embellishments chipboard (and wood veneer hearts) can be on a Valentines card. 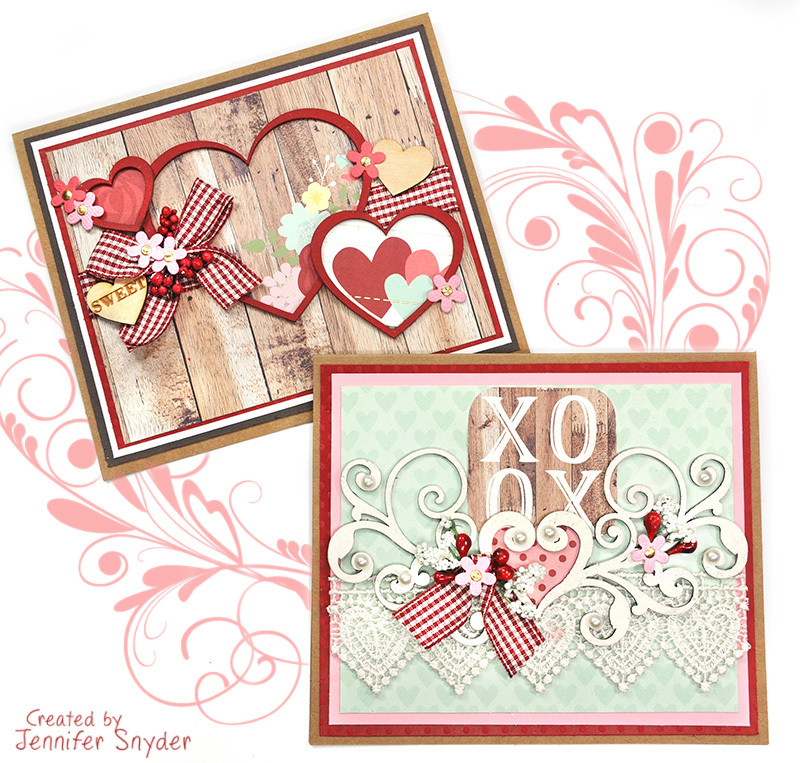 I created two cards and let the chipboard products do the hard work. Trust me - they were 100% up to the challenge of gussying my cards. The gorgeous designs are huge timesavers when creating cards because they are fascinating statement pieces. Below is the list of chipboard and veneer pieces used on my cards. The chipboard was simply painted with acrylics. 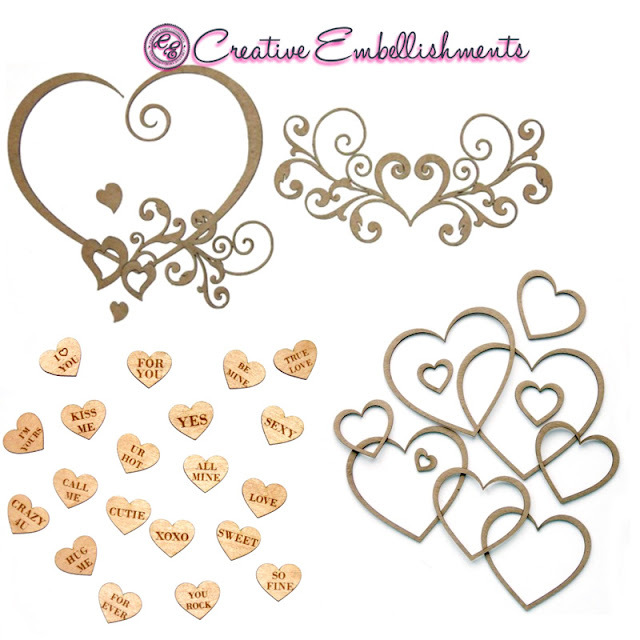 I'm going to take a moment to tell you why I adore those sweet Wood Veneer Conversation Hearts. They are perfectly sized to tuck into floral clusters, just as you would a flower. They have a plain backside which makes the hearts versatile enough to use year round. You can see in the image below that one conversation heart is turned to show the plain side. Another wonderful thing about the wood veneer is that it's clean and light making them fabulous and convenient to use without painting. Just glue and go. 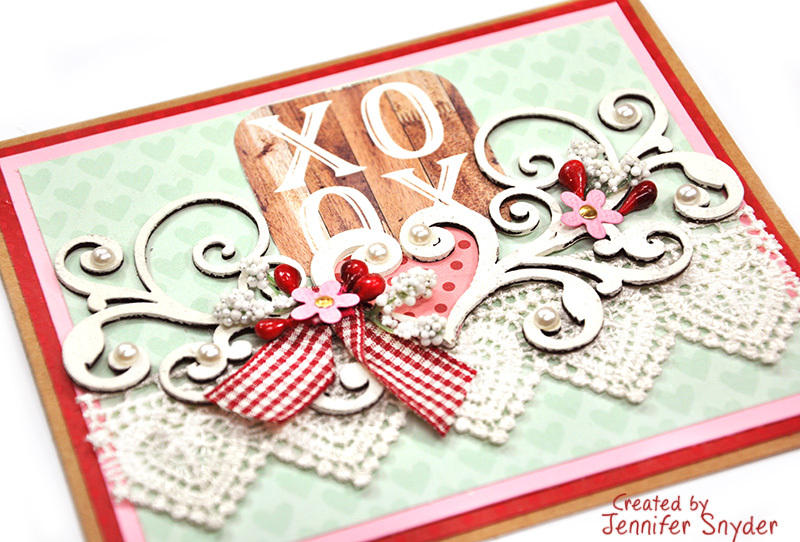 This next card uses a piece from the gorgeous Creative Embellishments - Flourish Heart Set. This set comes with two large main pieces to use on different projects if you choose. 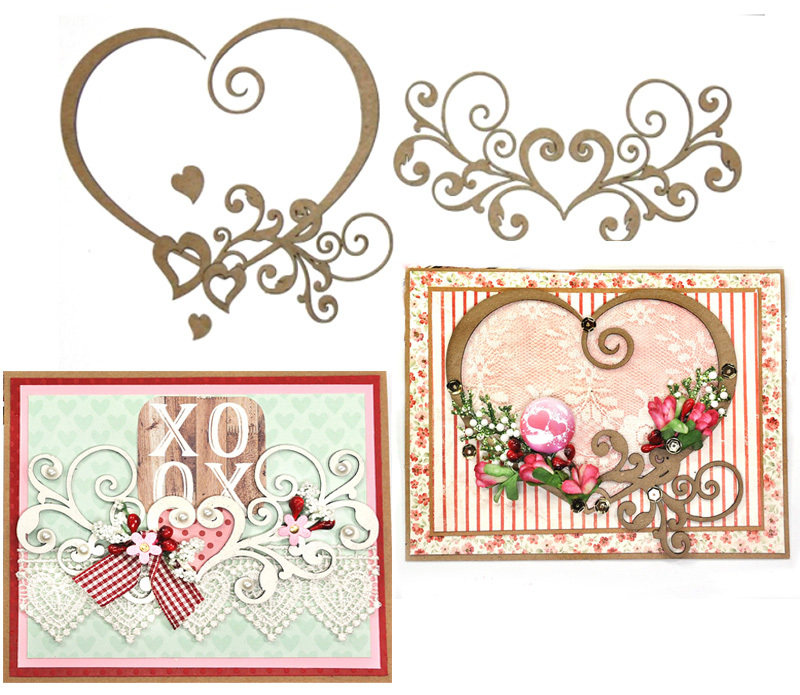 I used the heart shape chipboard piece on a card made for the February Challenge here at Creative Embellishments. Check it out and consider playing along this month...just use a product from Creative Embellishments and upload to the blog. Thanks for stopping here. I hope your day is filled with love.